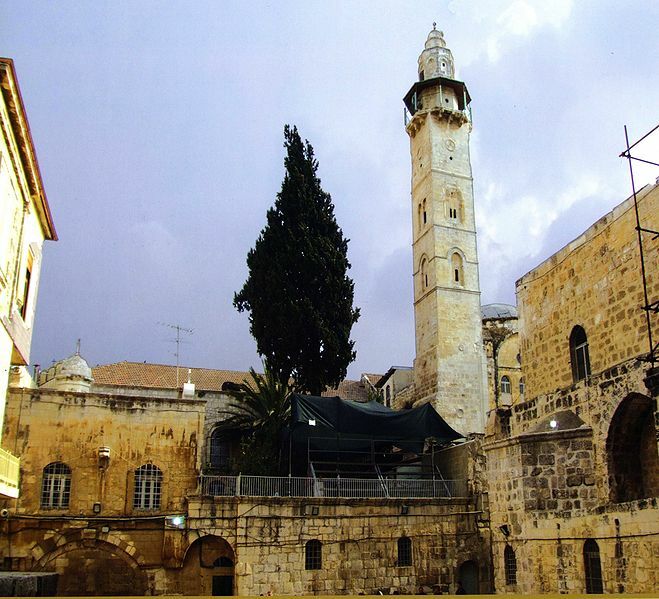 The Ayyubid Mosque of Omar in Jerusalem is located opposite the southern courtyard of the Church of the Holy Sepulchre in the Muristan area of the Christian Quarter. According to later documents, after the Siege of Jerusalem in 637 by the Rashidun army under the command of Abu Ubaidah ibn al-Jarrah, Patriarch Sophronius refused to surrender except to the Caliph Omar (579-644) himself. Omar travelled to Jerusalem and accepted the surrender. 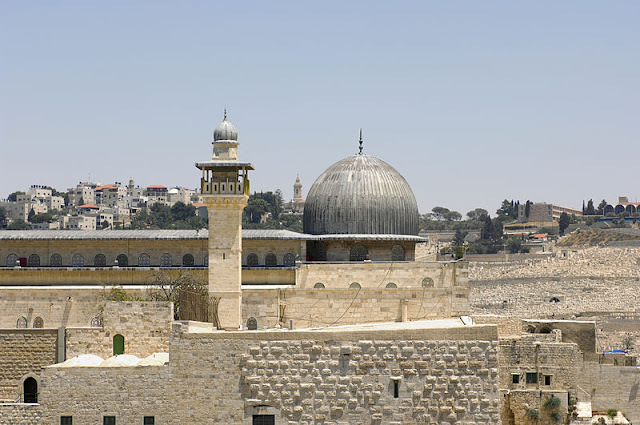 He then visited the Church of the Resurrection (today better known as the Church of the Holy Sepulchre) where Sophronius invited him to pray inside the church, but Omar declined so as not to set a precedent and thereby endanger the church's status as a Christian site.